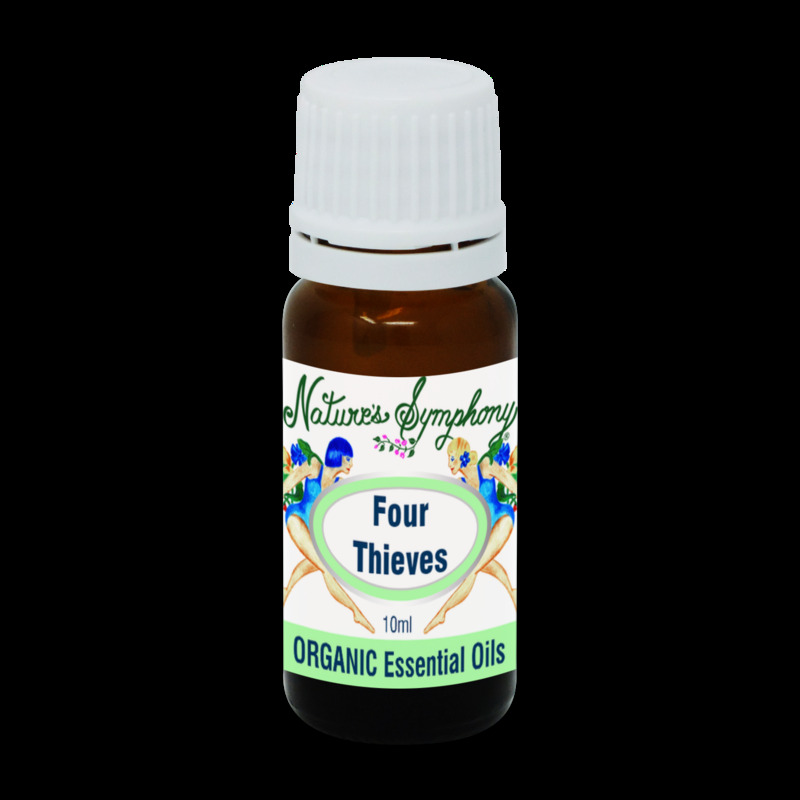 Four Thieves - This fresh/spicy, powerful, popular blend is a reformulation of a midevil formula which was used by 4 thieves during the plague because of its protecting properties. The freshness is accomplished with lemon, rosemary and eucalyptus, warmed with the spicyness and strongly protecting properties of cinnamon and clove. Use moderation if used in blends for use on the skin. USE:Room Spray 5 drops in 1 oz of water.